While there is a lot of discussion about fad diets – this one does address a growing problem as 210,000 Australians have been diagnosed with coeliac (one in 100); and this number continually is increasing! Additionally, it is not a weight loss diet – it is one that is specifically for those who may require the diet out of necessity; or for those who may have gluten intolerance. 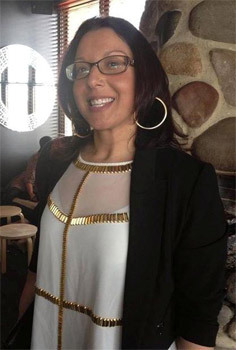 After taking into consideration the way gluten made her feel; vegetarian, Grace Skarvellis was hopeful that she would one day be able to adopt a gluten free lifestyle. Prolific nutritionist and naturopath, Sarah-Jane Purnell formulated a seven day gluten free challenge in conjunction with PureBred for Grace. After a chat with Sarah-Jane Purnell, Grace was ready to embark on her Seven Day Gluten-Free Challenge by stocking up on gluten free bakery brand, PureBred bread as she couldn't commit to seven days without her morning toast! Day One: I swapped my bread for Purebred and I am feeling less heavy in the stomach today. I have also added more fruit into my daily intake. I am making a conscious effort to also cut down on dairy, sugar and processed foods during this challenge. Day Two: I woke up feeling less bloated and found after eating the PureBred I didn't feel as heavy and full. I am also having more gluten free pasta and rice instead of wraps and noodles. Day Three: My stomach is feeling so much lighter and this has also been a great idea to write as I feel, so I can remember how I do feel after eating gluten. Day Four: Woke up feeling no bloat, feeling great today. That sinking feeling has gone. Day Five: I am feeling so much lighter and have a flatter feeling. Day Six: I'm shocked at how much better I feel from six days with no gluten. I love the feeling. Day Seven: I will definitely maintain gluten free as much as I can. I have done it before and felt incredible. Question: Why do you hope to consider adopting a gluten free lifestyle? Grace Skarvellis: Sarah-Jane Purnell said gluten is not good for people with auto-immune disease as it allows toxins to enter the body easier. I also feel so much better in my digestive system when I cut gluten out. Question: How did you diet change over the past seven days? Grace Skarvellis: I decided to cleanse as well as cut gluten out; I limited my sugar and dairy intake, as well. I also had more plant based foods. Question: What did you learn about gluten whilst on the Seven Day Gluten-Free Challenge? Grace Skarvellis: Gluten leaves me feeling sluggish and hungrier. I also found I didn't crave sugar. Gluten is very addictive and I do believe it causes digestive issues. Question: How did you feel during the Seven Day Gluten-Free Challenge? Grace Skarvellis: I felt amazing, I have cut gluten out in the past and it was the best thing I had done. I actually don't crave gluten, if I do not eat it at all. I felt incredible by the seventh day of this challenge. Question: Were any days more difficult in terms of avoiding gluten? Grace Skarvellis: The hardest days are usually the weekends, in this case I prepared myself and planned my meals for eating home and eating out. Question: What advice do you have for others looking at going gluten-free for a week? t I think taste better. I loved the PureBred and I enjoy gluten free pasta, rice and quinoa. Question: How did chatting with Sarah-Jane Purnell (prolific nutritionist and naturopath) help you in beginning the challenge? Grace Skarvellis: Sarah had some great tips for meals I can eat, I am also vegetarian and I do not eat eggs or have much dairy. We discussed my diet and the effect gluten has on my body. We spoke how gluten affects my health as it is not at all good for people with auto-immune disease. 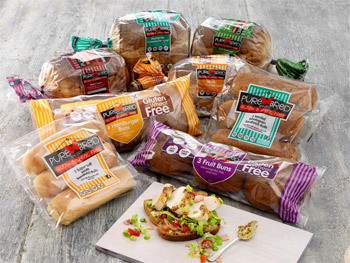 Question: What did you enjoy most about the gluten-free PureBred bread? Grace Skarvellis: I loved the taste and texture of the PureBred; I do actually prefer it to the other breads. I really enjoyed the rolls the most. Question: Will you continue to eat gluten free bread? Grace Skarvellis: Yes, I will definitely continue eating gluten free bread. I do not feel bloated and sluggish after eating it, it feels so much better on my digestive system. Question: What foods were you most cautious to avoid when going gluten-free? Grace Skarvellis: Foods I had to most avoid were cakes, muffins and pretty much anything packaged as there is hidden gluten in almost everything. Question: Can you share some of the gluten-free meals and snack ideas Sarah-Jane Purnell provided you with? 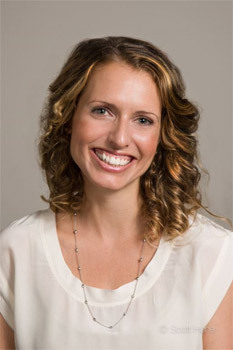 Sarah-Jane is a Nutritionist and Naturopath who believes in the power of healthy food for optimal health. Ever since she was young Sarah-Jane had a passion for discovering and cooking delicious food and it wasn't until she became unwell as a teenager that she discovered the role diet can play in healing the body. This inspired her to complete a Bachelor of Health Science and Advanced Diplomas in Nutritional Medicine and Naturopathy. Since her study Sarah-Jane has worked in a diverse range of clinical settings holding the position of clinical Nutritionist and Naturopath at the exclusive Golden Door Elysia, Australia's premier health retreat. She also runs her own private clinics in Sydney and Melbourne, and speaks regularly to both corporate and social groups on the benefits of wellness and good nutrition. Sarah-Jane has recently become a new Mum and more than ever relies on a balanced diet and lifestyle to maintain her energy as she juggles life with her beautiful baby girl and working in a job she loves. Question: Do you follow a gluten-free lifestyle? Question: Why are many people considering adopting a gluten free lifestyle? Sarah-Jane Purnell: Gluten free is gaining popularity for a few reasons. Firstly due to the increased awareness of Coeliac disease we are improving the rate of diagnosis which is a great thing. Many people are finding they simply feel better avoiding gluten (but aren't a Coeliac) and so wherever possible make a gluten free choice. There is an increase in gluten free products around so many people adopt this lifestyle assuming it is a healthier one or potentially that it will help with weight loss. This is not necessarily the case especially if you substitute gluten products for some not so healthy gluten free ones. Gluten free products can be high glycaemic index, high in sugar and in fat so you need to be careful to make good choices at the supermarket. If you boost your intake of vegetables, lean proteins, healthy fats and nutritious complex gluten free carbohydrates such as quinoa, amaranth, buckwheat or brown rice then this diet can certainly be a very healthy one. Question: What are some of the symptoms of gluten intolerance? Question: Why do we feel bloated and sluggish after consuming gluten? Sarah-Jane Purnell: If you have been diagnosed a Coeliac then you will have an immune response leading to intestinal damage when you consume any gluten. The intestinal damage occurs on the villi of the intestines. When damaged the villi are unable to secrete enzymes which break down certain nutrients in food. This can result in gas production and bloating. When you have gluten intolerance an immune response still occurs when you consume gluten however it doesn't result in intestinal damage. Question: What are the benefits of a gluten-free lifestyle? Sarah-Jane Purnell: For Coeliacs a gluten free lifestyle is the only known medical treatment for the disease. It keeps them from developing potential long term health issues such as malnutrition. Question: Are there any negatives associated with going gluten-free if we are not diagnosed coeliac? Sarah-Jane Purnell: The potential negative when eliminating anything from your diet is missing out on key nutrients specific to the eliminated food. In the case of gluten we find that fibre is the most important nutrient linked to the typical gluten filled foods such as cereals, breads, muffins, crackers, noodles, cous cous and pasta. Many gluten free alternatives can be low in fibre such as those based on white rice so get to know how to read your food labels so that you can make high fibre gluten free choices. Question: How does gluten affect people with an auto-immune disease? This is a great brochure released from Coeliac Australia that explains associated diseases and why auto-immune diseases are linked with Coeliac. It has to do with similar genes that are expressed. Question: If you have health issue, how will gluten-free benefit your immune system? Sarah-Jane Purnell: Read the above brochure for how Coeliac disease can be related to other auto-immune conditions. If consuming gluten gives you an inflammatory response this will affect your immune system. The goal is to avoid inflammation. Question: How does gluten affect the digestive system? Sarah-Jane Purnell: In a Coeliac gluten generates an immune response which triggers irritation, inflammation and damage to the intestines. For someone who has an intolerance or sensitivity rather than Coeliac disease an immune response still occurs and inflammation may play a part but damage to the intestines does not occur. Question: Does eating high doses of gluten age you faster? Question: Is gluten addictive? Why? Sarah-Jane Purnell: There is some research to suggest that a peptide found in gluten (gliadorphin) can bind to opiate receptors in the brain mimicking the effects of opiate drugs. The research is not conclusive and suggests that it only occurs in some pre-disposed people. Clinically some people do report having withdrawal type symptoms when eliminating gluten. I believe that many gluten containing foods such as bread, pasta, cakes and biscuits are comfort type foods which many people struggle to give up. Question: What foods have -hidden' gluten? Baked goods - cakes, pastries, slices, donuts, cookies, pies and scones. If it is sold at your local bakery then it very likely is gluten filled! Breads – All that are wheat, rye, spelt and kamut based. Includes focaccia, Turkish bread, wraps, pita and flatbread. Pizza bases and pastas. Any food made with breadcrumbs like stuffing. Cereals – most on the supermarket shelf. It must say gluten free on the packet. Note: Oats contain a tiny amount of protein that is structured like gluten. It is estimated that 20% of Coealiacs may react to this protein so to be safe avoid this grain. Sides – Cous cous and semolina, cracked wheat found in tabouli. Snacks – Potato chips, chocolates, licorice, some lollies, ice creams, frozen yoghurts. Condiments – Asian sauces, soy sauce, salad dressings, tomato and BBQ sauces, marinades, soup mixes, any prepare a meal in a packet type product. Drinks – beer, spirits made from grains (gin, whiskey, and some vodka), instant coffee, tea or hot chocolate mixes. Cosmetics – can you believe it? Gluten is found in some beauty products (think oat based moisturisers or scrubs) so if you are a Coeliac or highly sensitive you need to be careful when purchasing your products. Medication/supplements – always double check! Question: Can you talk us through some of the gluten-free substitutes? Sarah-Jane Purnell: There are many! Gluten free products are the fasting growing grocery line in your supermarket. When choosing grains I recommend eating quinoa, brown rice, amaranth or buckwheat for optimal nutrition. When selecting your breads and crackers make sure they are wholegrain and are low in sugar and high in fibre. Question: What do you love about PureBred bread? High use of nutritious seeds and grains such as chia, linseed and quinoa. Question: How long should someone trial gluten-free to see the benefits? Sarah-Jane Purnell: There is not set rule but anywhere between seven days to a month is a good trial period. If you re-introduce gluten and feel unwell make sure to see your GP to rule out Coeliac disease. You must be eating gluten before testing to make sure you get accurate results. PureBred Review: The PureBred Raisin Toast is light, crispy and full of delicious flavour which ensures you can't even tell you're eating a bread that is gluten free, low fat and high in fibre. When toasting the raisin toast the crust becomes crisp whilst the centre is still light and soft. Packed full of raisins and sultanas this PureBred Raisin Toast is going to be a healthy breakfast and snack favourite of mine from now on. Femail recommends a consultation with a qualified nutritionist before beginning a gluten-free diet to ensure adequate nutrition is met and dietary concerns are addressed. By Brooke Hunter with Grace Skarvellis.